Earrings are a heartfelt gift that she’ll wear every day. Here’s everything you need to know about selecting and purchasing a pair of fine jewelry earrings. Universally flattering with a clean, sleek look, silver earrings are perfect for everyday wear. Silver earrings can be found in a variety of styles, from classic studs to artful dangling designs. Pure silver is too soft and malleable to be used in jewelry, so it is strengthened with other metals to create a silver alloy known as sterling silver. 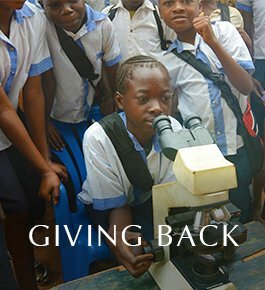 At Brilliant Earth we use silver that has been alloyed with copper and zinc instead of nickel, because many people experience allergic reactions to nickel against their skin. 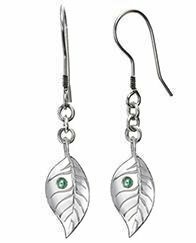 One of our most popular pair of earrings is the Silver Leaf Earrings with Ethically Sourced Green Sapphires. You can’t go wrong with gold earrings, which are eternally elegant. Gold is resistant to rust and tarnish. Pure gold, or 24 karat, is too malleable for use in jewelry, so it is alloyed with other metals for strength, creating 18 karat gold (which is 75% pure gold) and 14 karat gold (about 60% pure gold). 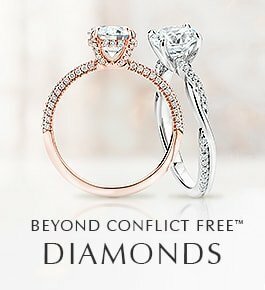 Warm yellow gold is the most classic choice, white gold has a lustrous silvery sheen, and rose gold has a vintage look that feels modern today. Our Gold Moon Stud Earrings are a chic pair she can wear every day. For a distinctive, contemporary style, consider the Yellow Gold Wave Earrings. 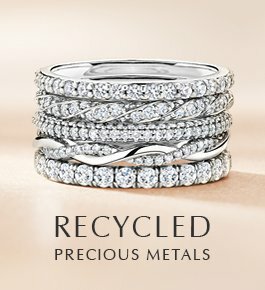 Platinum is the rarest and strongest metal, and it maintains its color for a lifetime. It is also hypoallergenic and almost never causes skin reactions. 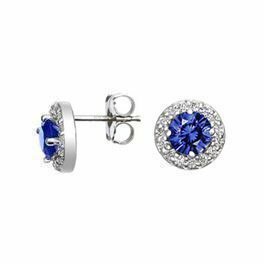 The Platinum Round Diamond Stud Earrings and Platinum Sapphire Stud Earrings are both meaningful gifts any woman would treasure. 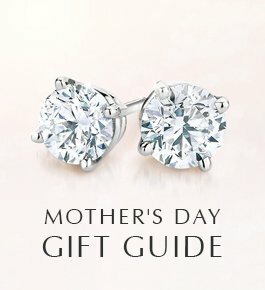 Diamond earrings make a luxurious gift. Classic diamond studs are considered by many to be essential to any woman’s jewelry box, because of their day-to-night versatility and flattering sparkle. You can choose our Pre-Set Diamond Studs or create your own diamond earrings with the gemstone shape, size and setting of your choice. 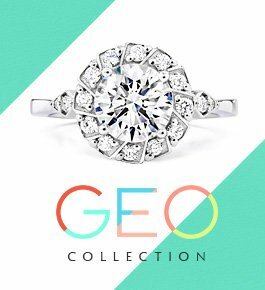 If the woman you’re shopping for already owns diamonds studs, or you want something a little more unexpected, consider a luxe style such as Diamond Halo Earrings, a design covered in many glittering diamonds, like the Pavé Wave Earrings or a pair of diamond hoops like the Whisper Hoop Earrings. Gemstone earrings in her favorite color or her birthstone make a very thoughtful gift. You can’t go wrong with classic studs, whether brilliant blue sapphires or feminine pink sapphires, fiery citrines, purple amethysts, green peridots or deep red garnets. Looking for something a little different than classic studs? 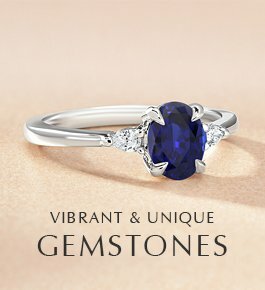 Consider colored gemstones encircled by a diamond halo, such as the Sapphire Halo Diamond Earrings or accented by a single glittering diamond, like the Peridot and Diamond Stud Earrings. Feminine and romantic, pearl earrings are a classic and make a great addition to any woman’s earring wardrobe. Pearls come in a range of colors, from pure white to lustrous silver-greys and light copper hues. 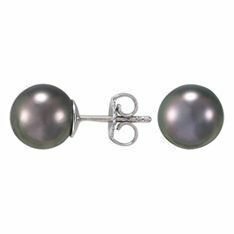 From the days of Vermeer’s Girl with the Pearl Earring to those of twentieth century style icons Coco Chanel and Audrey Hepburn to the present, pearl earrings like our Tahitian Pearl Studs are forever synonymous with style and sophistication.